Mount Rinjani – Mount Rinjani Lombok is located in the northern part of the island of Lombok, is the highest mountain in the province of West Nusa Tenggara with an altitude of 3726 meters above sea level. Mount Rinjani is also the 3rd highest mountain in Indonesia. There is one more natural tourist destination in Lombok is favored by many tourists, namely Mount Rinjani Lombok. Enchantment Lombok Island is famous for marine tourism destinations such as Gili Trawangan, Senggigi Beach, and Lombok also exist in the allure of Mount Rinjani is challenging and presents beautiful scenery from high altitude. Not easy to conquer Mount Rinjani because you have to Hiking Rinjani more than 4 kilometers, not to mention through obstacles while climbing. If you want to travel to Mount Rinjani, do not just try. You must have enough courage, adequate physical condition, and a little basic knowledge of Trekking Rinjani. According to the local story that developed, Mount Rinjani is a palace that became the queen’s dwelling called Dewi Anjani. Dewi Anjani is the daughter of a king named Datu Tuan and the consort of Dewi Mas who supposedly ruled in a small kingdom on the island of Lombok. Regardless of whether or not the myth of Mount Rinjani Lombok, the pride of the people of West Nusa Tenggara is to save the exotic and amazing natural charm. Many interesting things you can find in Mount Rinjani, ranging from craters, lakes, hot springs, caves, waterfalls, hole eruptions, caldera panorama, peak, until a new lava flows. A number of tourist attractions and favorite Mount Rinjani among tourists, namely Tetebatu, Senaru, and Sembalun with exotic beauty of the mountains. There is another place that is not less interesting in Mount Rinjani Lombok Tours, which is Segare Anak, a lake that formed naturally due to the eruption of Mount Rinjani in the past. Segare means sea, so Segare Anak can be defined as a small sea of ​​children from Mount Rinjani. By the local community, this lake is often called the sea because the water is crystal clear as blue water native to the sea. Segare Anak Lake is located at an altitude of 2800 meters and has various types of fish, such as fish harper, mujair, until the Golden Fish. Once again according to local belief, it is said that Lake Segare Anak is believed to cure various diseases. In fact this place used to be used as a place of worship or ritual to get knowledge or magical objects. Not far from Segare Anak Lake, you can find a small mountain called New Mountain. Not many people dare to conquer the peak of this New Mountain because until now the mountain continues to release gas. 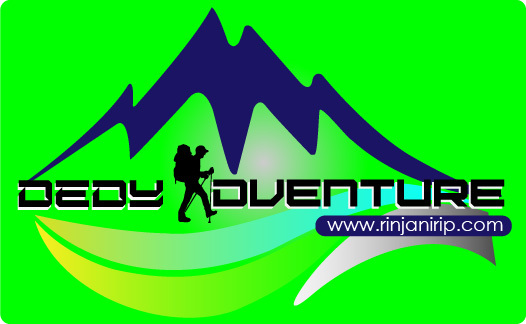 Rinjanitrip.com Adventure Service with Ded’y has been engaged to rinjani mountain climbing for years with a wealth of experience. Guided by our reliable and professional guide guarantees safety as you adventure towards Mount Rinjani. If you are planning a trip to climb Mount Rinjani then we provide some mountain climbing rinjani package that you can choose according to your wishes. So we are ready to serve you with pleasure. Climb the summit of Mount Rinjani within 2 days 1 night. Starting from the village to the grave of puncture at night. Then on the second day at 3 o’clock in the morning will proceed to the highest peak of rinjani mountain. And then back to palembang sembalun and the rest back to sembalun. This program is intended for those of you who have special experience in the field of climbing because you have to have endurance or extra ability to walk for 8.5 hours per day. Climbing the peak of the mountain Rinjani within 3 days 2 nights. Starting from the village to the palace puri sembalun at night. Then on the second day at 3 o’clock in the morning. Will proceed to the top of the highest mountain of rinjani. And then back again to palembang sembalun and the rest back to sembalun. This program is for those of you who have the experience of climbing the mountain. But can be reserved for those of you who have little experience climbing the mountain. For those of you who want to experience climbing Mount Rinjani. By walking up and down with a period of about 5.5 hours per day. Climbing the peak of the mountain Rinjani within 3 days 2 nights. Starting from the village to the palace puri sembalun at night. Then on the second day at 3 o’clock in the morning will proceed to the highest peak of rinjani mountain. And then back to palembang sembalun and the rest back to sembalun. This program is intended for beginners who have never had previous mountain climbing experience. And can also be used for those who already have experience in climbing to add your experience in mountain climbing. For those of you who want to have experience climbing Mount Rinjani you will walk about 4.5 hour per day. Apart from our services for adventure travel experience. 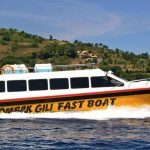 We also provide various services such as meeting the Gili islands located on the island of Lombok. Providing hotel or home stay, then we provide pickup and delivery wherever and wherever. If you are interested in using our services you can contact us. Directly through our contacts we provide on our website.